Makeup primers an important part of any girl's makeup bag. They're there to help makeup last longer and some can even fill in lines and pores to give you a smoother canvas to apply your makeup to. Having said all that, it's been fairly recent that I discovered all of this and I've only ever brought two primers in my life which is quite pitiful! After one of my recent blog reading sprees (stalking, let's just say it how it is) I came across a review for a new primer from the lovely Terri Lowe! She claimed it was the The Best Primer I've Ever Tried and of course that made me perk my ears up in excitement. As I'm a little new to the primer scene, I'm always up for trying new products. I have to admit I can't even remember the last time I went into a Wilko's store, probably when I was dragged in by my mom on one of her boring shopping sprees looking at cleaning products and to be honest because of that, I'd always sort of ruled it out as a place to go for cosmetics. Not anymore though! When I went in they had plenty of products on offer and some where even cheaper than at Superdrug or Boots! "The Kiss smoothing light reflecting primer contains Silica spheres to diffuse light and help to reduce the appearance of fine lines and wrinkles. With conditioning and antioxidant Vitamin E, Apricot oil and Baobab oil to moisturise and soften skin." I didn't take a picture of the back for the ingredients but the formula is very much like the Maybelline Baby Skin Primer (review here) as it was very silicone based. It was slightly more creamy than the Baby Skin but it gave the same velvety, soft feel. If I was doing a Baby Skin V Kiss Primer, I would have to pick the Kiss Primer. It felt more lightweight and it didn't feel like I was adding an extra layer to my skin. It also didn't leave me feeling greasy as my skin absorbed it more instead of just sitting there like the Baby Skin. Obviously the one main job the primer has is to help your makeup stay on for longer. Since I have oily skin, I find that most makeup doesn't last throughout the whole day but since I've been applying this primer beforehand, I've noticed my makeup has actually stayed in place. I still get the usual shiny T section after a few hours but on a whole, my make up still looks great! 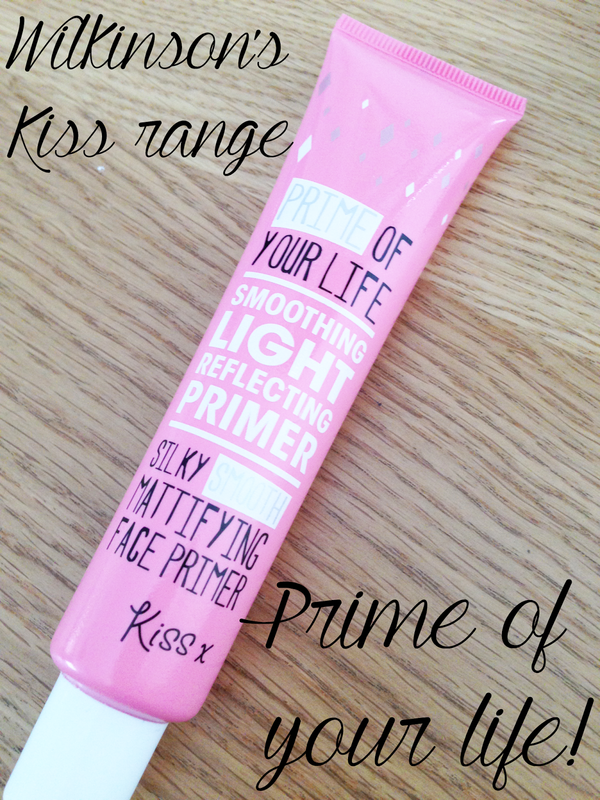 I really enjoyed this primer and I do seriously think it's a very unknown product. I really hope people read this or Terri's post and get out there and go buy it! There are a few other products in the Kiss range that caught my eye as well and I would now definitely go back and pick them up. You can order one yourself from their online store here and check out their other products.